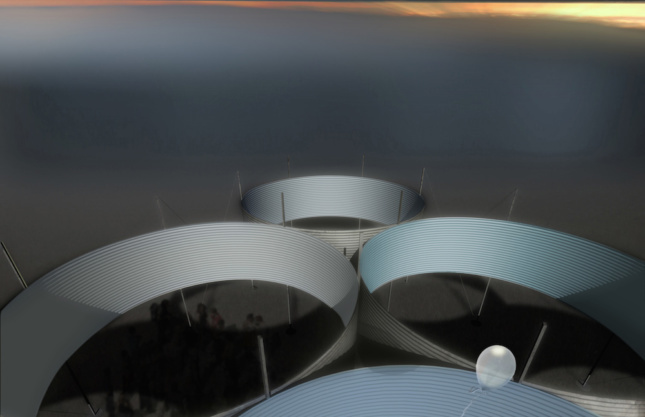 The City of Dreams 2018 winning installation, Oculi, was created by New York–Pennsylvania firm Austin+Mergold in collaboration with Maria Park (Cornell) and consulting engineers Chris Earls (Cornell) and Scott Hughes (Silman). Oculi will be comprised of old metal silos, similar to those in upstate New York, that will frame sky views and track the sun’s path. The silos’ interiors will be painted to match the changing sky throughout the day, so that visitors may find themselves in a space mirroring the sky above. The pavilion will be assembled on Governors Island for the summer season, pending fundraising and approvals. 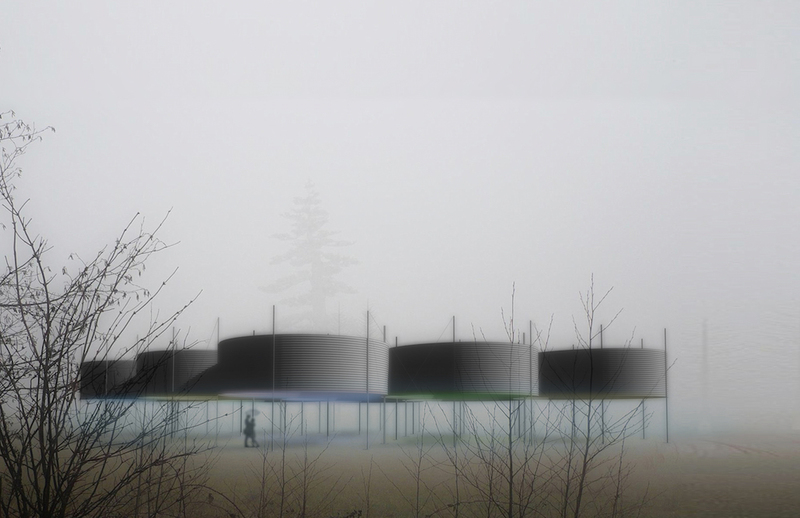 After, it will be installed as an “experimental housing cluster” in central New York. The City of Dreams Competition, now in its seventh year, is hosted by FIGMENT, the Emerging New York Architects Committee, the American Institute of Architects New York Chapter, and the Structural Engineers Association of New York. The competition tasks architects with creating a thoughtful installation that promotes sustainability and addresses economic and natural resources. The jury included David Benjamin, founder and principal, The Living; Anna Fixsen, senior web editor, Metropolis Magazine; Benjamin Gilmartin, partner at Diller Scofidio + Renfro; Ann Ha, partner at BEHIN HA DESIGN STUDIO; Jorge Otero‐Pailos, director and professor of historic preservation at Columbia University GSAPP; and Risa Puno, artist. They will be mentored by Josh Draper, founder and principal at PrePost and lecturer at CASE, The Center for Architecture Science & Ecology, an architectural research center at Rensselaer Polytechnic Institute for the duration of the design and installation.